Our intentions to do good can also pull us away from the most important human relationship in our lives. One of the greatest threats to marriage is busyness. 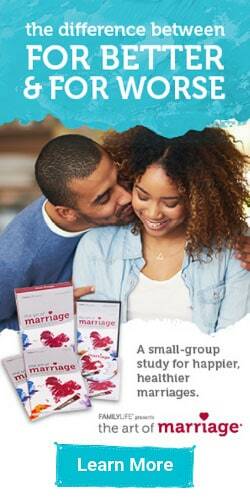 We pack so much into our already busy lives that we often forget to spend time alone, much less with our spouses. Whether you have a new baby in the house or your spouse accepted a more demanding job, the things we fill our lives with aren’t always bad.If they’re harming your marriage, however, it’s time to get creative about staying close to your spouse. My husband and I don’t have kids, but as a full-time graduate student with a nearly full-time job, I often find myself putting quality time with my husband on the back burner as I try to juggle work and school. Thankfully, this hectic schedule is only for a season. Perhaps you have a more permanent change to your life. Regardless, it’s important to evaluate whether you need to rearrange your schedules to make room for one another. Here are five ideas to get you started. 1. Schedule a weekly date night. If you struggle to find time for your spouse, consider scheduling a weekly date night. You might think your marriage is fine if you eat breakfast together or see one another before you go to bed. But scheduling a date night will force you and your spouse to put away distractions and truly listen to one another for an evening. Circumstances are different for every couple, and you might not be able to pull yourself away from every responsibility. But you can probably find one or two things you can step away from. If you have a new demanding job, but you also serve at church and volunteer in a community-based group, perhaps you can devote less time to your church or community group until the job is less demanding. Don’t let marriage be your sacrifice when schedules get busy. 3. Join your spouse in their busyness. Sometimes a busy schedule offers an opportunity to join your spouse in one of their commitments. Maybe your spouse has decided to step into a leadership position in a volunteer group. Instead of tolerating the shift in your family’s routine, try joining them by volunteering with the group, too. This can apply to many other scenarios where you step into your spouse’s routine instead of adjusting to it. Our culture often has the problem of saying yes to everything. For the sake of your marriage and family, sometimes it’s important to say no. Switching jobs might bring more income to your home, but at what cost? Becoming a leader at your church might be a spiritual opportunity for you, but will it harm your family life if you are even busier than before? Saying no takes discernment, but it is possible to resist the constant urge to do more. If you can’t step away from things in your life or make consistent time for your spouse, try doing an occasional getaway. 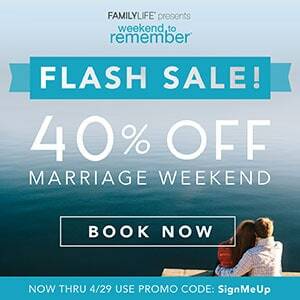 One of the best getaways for your marriage is FamilyLife’s Weekend to Remember®. It provides a space for you to pause and reflect on your marriage, and it offers helpful tools to make your marriage stronger. If you can’t manage to leave town, just spending a weekend where you cancel all plans and focus on your spouse can make a difference. Every marriage needs a moment to recharge. The events and responsibilities we pack into our lives contribute to making itrich and meaningful. But our intentions to do good can also pull us away from the most important human relationship in our lives. Spend time in prayer to discern if busyness is affecting your marriage. If it is, make the difficult decisions to restructure your life for the sake of your marriage.